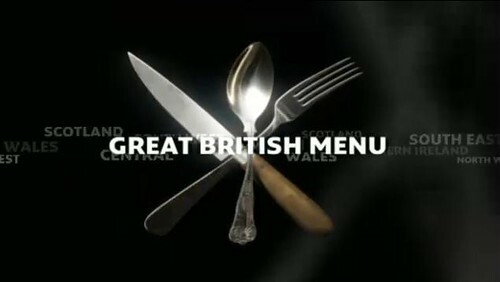 So after thirty weeks of tedium, the Great British Menu 2009 has finally got to the good bit. 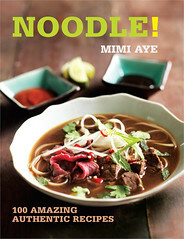 By this, I mean all eight finalists have been chosen and every dish they prepare will actually be tasted by the judges. Their prize? To provide a "Taste of Home" in a welcome-back meal for British soldiers returning from the war in Afghanistan. The judges are of course the lovely Prue Leith (who's now an author! ), Uncle Matthew Fort with his increasingly wacky specs, and mardy, Irish, Willem Dafoe-a-like Oliver Peyton. 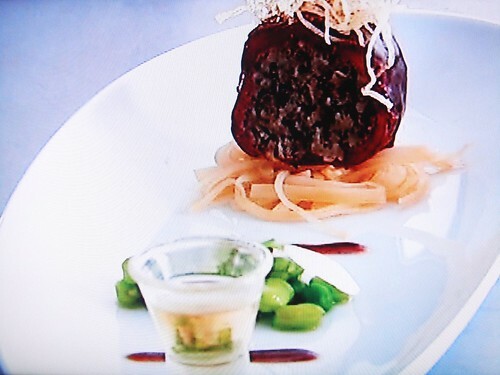 In the first of four finals, the eight competitors are charged with creating the perfect starter. Rising (or not) to the challenge are Glynn Purnell, Tom Kitchin, Kenny Atkinson, Danny Millar, Shaun Rankin, James Sommerin, Nigel Haworth, and Tristan Welch. First up to the plate is Kenny Atkinson for the North East with a Salad of Aberdeen Angus Beef, Carrots, Horseradish and Shetland Black Potatoes. 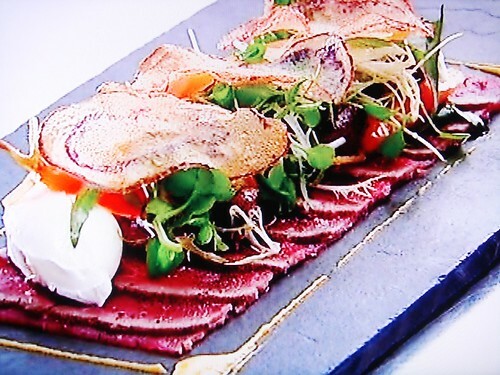 The beef is super-rare, the carrots pickled and the potatoes mandolined into thin crisps. The salad wins favour with Prue and Oliver as being delicious and beautiful (even the orange smears) but Matthew quibbles that it lacks Britishness - indeed it actually looks like carpaccio. However, despite Matthew's misgivings, Kenny scores well. Next up is Nigel Haworth for the North West. 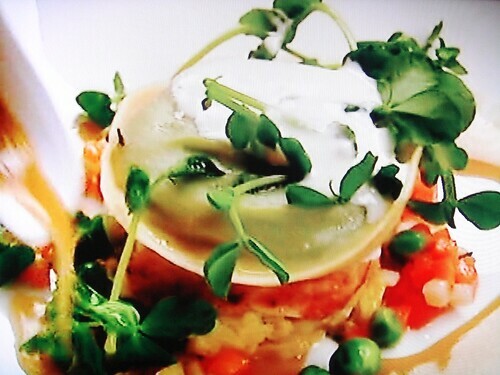 His starter was Goosnargh Duck Pie, Ham and Scratchings, but the judges had deemed it too wintry. Therefore he's revised the dish to add a pea and broad bean "bavarois" on top of duck liver parfait, and the duck ham and scratchings are now served chilled. 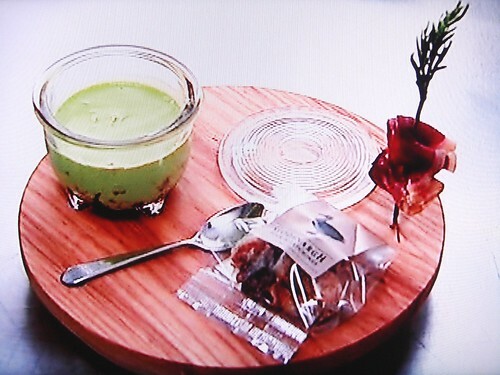 All the judges are impressed that Nigel has "spring"ed up his starter, though perhaps it's a little too cold now. Matthew raves about the duck scratchings in their little packet, but Oliver still thinks the whole thing's too rich and even scoffs at the thought of "working class" scratchings at a posh do. Glynn Purnell representing Central is up next. I have a real soft spot for Glynn - 2008's winning pud was his gorgeous looking crème brûlée, he always comes across as a real sweetie and he triumphed over snidey Chris (Horrid)ge last year. 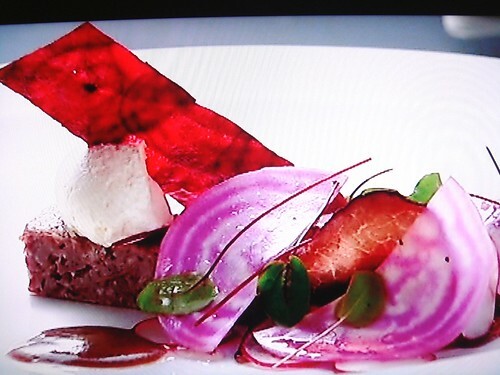 Glyn's starter is Corned Beef with English Mustard Cream, Beetroot, Radishes and home-made Brown Sauce. A particularly nice touch are his bottles of "GP Sauce" which proudly state they're "Made in Brum". Unfortunately, Oliver and Prue think his corned beef far too fatty and that the dish lacks the acidity to cut through that richness. 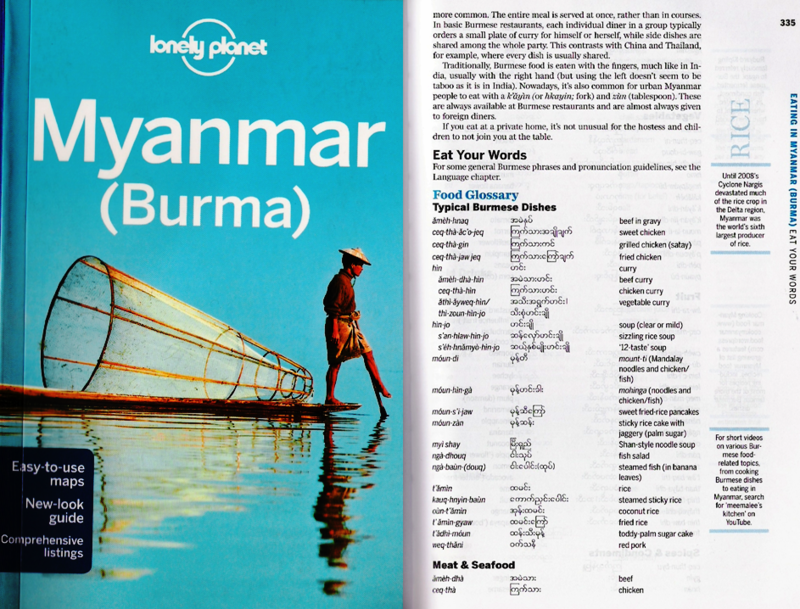 Matthew likes the textures, but their final score for Glynn isn't great. Our next finalist is James Sommerin for Wales. His starter is Poached Chicken with Pea Ravioli and Welsh Cheese - the pea is actually veloute in a raviolo which bursts into soupy loveliness over the chicken. Unfortunately one bursts prematurely, so James lobs it in the bin. Aaaaaaargh, I hate it when TV chefs do this - last week Mark Sargeant chucked several eggs in the bin because they weren't fresh enough for poaching - why not save them and make a nice omelette? Anyway, something seems rotten in the state of Denmark, I mean, Wales - since when was ravioli British, unless you're referring to those canned bogeys in tomato sauce? Oliver agrees with me - yes, it's a stonking dish which gets 10s from Prue and Matthew, but it still isn't a taste of home (maybe a taste of Rome as Glynn Purnell dubs it), so he scores it 6. Danny Millar is representing Northern Ireland with his Chicken & Vegetable Broth with Buttered Soda Farls and Chicken Livers. He's another of my favourites from last year - he got to the final but then consistently came in the bottom three for every course and he was so sweet and sad about it I just wanted to hug him. Also, his restaurant is called Balloo House - what's not to love? Danny's offering looks so good and comforting I wish I had Eat-O-Vision, but alas Danny drops the ball and the judges deem the dish disappointing - Prue says it's lost its sparkle and Matthew says it's mediocre. Ouch. Next is Shaun Rankin for the South West with Slow-cooked Duck Egg, Asparagus, Shiitake Mushroom & Herb Dressing. Sadly, the judges are all slow-cooked egged out (especially since Sat Bains already wowed them with it). 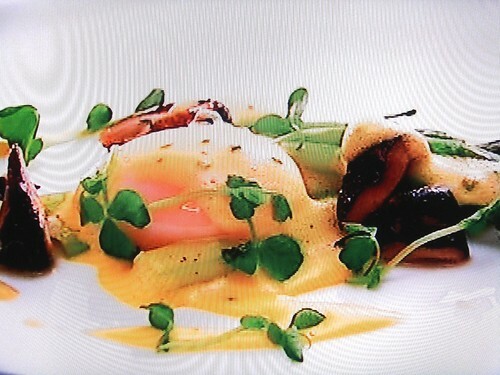 Oliver says "It's lazy, it's just asparagus and a silly duck egg" and Prue agrees that the egg's texture is peculiar. Shane gets a massive thumbs down. Tom Kitchin is next for Scotland. Tom's also a favorite of mine for seeming really lovely and looking like a Fraggle. He also beat the over-confident, thoroughly terrifying Alan Murchison to get here, so that's another plus in my book. Tom's starter is Haggis, Neeps & Tatties with a Wee Dram of Whiskey. In the qualifying rounds, this had gone down a treat - Oliver says "Usually when I have haggis I'm concerned about my future". But Oh Noes - Tom tweaks the haggis formula and all the judges call it a claggy, sticky failure. Prue cries "How dare he give me an inferior version of his dish?" Oh dear. Last up is Tristan Welch for the South East. I'm not particularly keen on this lad, as he was over cocky and snarky during the qualifiers, and also because he managed to beat Peter Petrelli (aka Mark Sargeant). 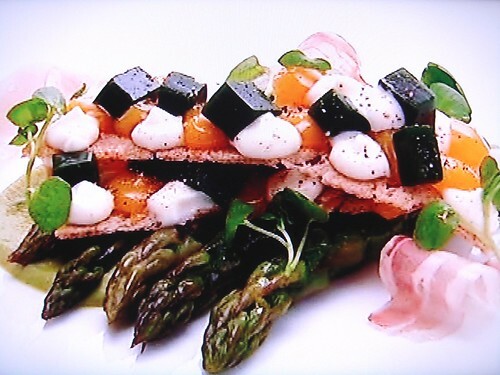 His dish is Asparagus, "Egg & Cress Sandwich" and Cured Smoked Ham. I'm fascinated as he pipettes little orbs of yolk and mayo onto the thin crispbreads, then sprinkles with watercress jelly cubes. It's hard to decide whether it's stunning or simply a mess - Prue and Matthew think it's the latter as it's too complicated and the toasted bread becomes soggy too quickly. Finally it's judgment time and Prue, Oliver and Matthew decide the line-up as follows. So the judges decide that the Taste of Rome is their best bet for the final feast. However, it's also up to us as viewers to decide who we want to see cooking in the final. 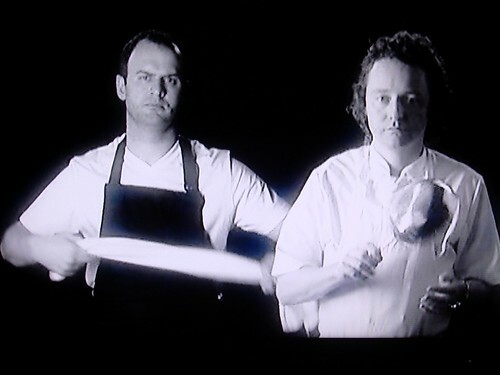 Our votes have equal weighting with the judges, so if everyone eg votes for Tom Kitchin (go on) we could still get him to win. I think.